Our family has a pedigree in the transport industry that stretches back three generations. Our Grandfather owned a transport company called R.J. Newton in South London during the difficult years of the 1940’s. Sadly he died when our Dad, John was still at school aged 14. Nonetheless transport was already in his blood and upon leaving school John served his apprenticeship in the industry with Cyprian Fox Transport in Enfield before gaining further experience and knowledge working for Bullens. In 1973 with family history, experience and a comprehensive knowledge of the industry an opportunity presented itself and Dad realised his lifelong ambition to start up his own transport business, thus Newtons was born, or should we say re-born. 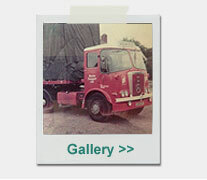 The 1970’s were challenging years economically for the country, even so Dad managed to maintain a presence in what has always been a competitive industry by offering excellence of service and value for money, qualities that have become the hallmark of Newton Transport, qualities which we strive to maintain to the present day. 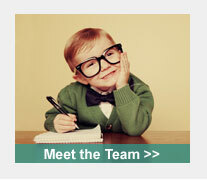 In 1985 David joined the business straight from college, Simon joined in 1987. Together we three worked hard to further develop and grow the business through the eighties and nineties culminating in acquiring a purpose-built site in Snodland in 1997. Since then we have gone from strength to strength. We have always tried to be a little different. Thinking outside the box has enabled us to be ready to meet our customer needs by anticipating change and integrating new technology to ensure the best possible service. This process of combining the old fashioned values of service and quality with forward thinking has enabled us to evolve and develop the business into what it is today; a thriving transport business that prides itself on the service it provides founded on an ethos of hard work and integrity initiated by our Father and Grandfather before. Values central to our success, past, present and future. Our comprehensive fleet of vehicles, utilising Satellite Navigation and Traffic Management systems, enable us to meet all your transport needs efficiently and effectively, minimising cost by ensuring the right vehicle for the right job. 26 ton Rigid Tautliners, either with tail-lift or equipped to carry a Moffett. We take your business personally, our commitment is to deliver your goods to the highest standard, on time at the best price. No pallet Network, ensuring minimal handling, less movements. Location, M25, M20, M2 on our doorstep, 1hr 15mins to Calais.